Welcome to the home of the swing. We at Speakeasy Electro Swing have been working to spread the sound of swing near and far from our home base of Canada. Members of our team have been doing these monthly events for almost 6 years and have managed to put on events in BC, Montreal, Toronto, Boston, Paris, Berlin, London, Washington DC, Portland, Salzburg, Los Angeles, Whitehorse, Hawaii, Seattle, etc. We have taken to task of teaching folks on this side of the Atlantic about the happy fun style of music that is Electro Swing. Taking cues from the last big finical collapse of 1929, we see people in similar circumstances wanting to let loose a bit to stop worrying from their everyday perils, and go out and get down to some fun and funky grooves. The sound has been growing and evolving for the last 5 years out of its main centres of the UK and France, and now is part of every major festival happening in the EU. With the best tag line coming from Nick Hollywood - "it is the music of the first Great Depression mixed with the technology of the second." Welcome to the retro-future. As our economy revisits the depression era, it is time for our culture to revel in the glory of those days. It is time to get snazzed up, and get down to the sounds of Electro Swing that have been taking over the globe. We are bringing you the first events to focus on these sounds of now on this continent where the music began. 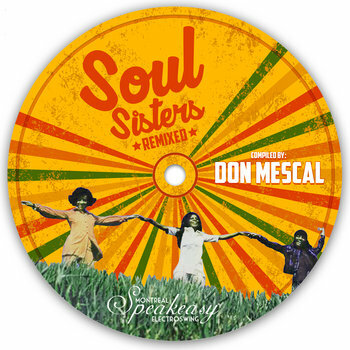 As we scour the crates of dusty old record stores and remake these songs into club tunes of today, updating the swing sounds with electro, hip hop, house, bass, and dub. The sounds have been spreading through the Electro Swing compilations on Wagram music out of France, and the White Mink/Black Cotton albums from the UK in the past few years. With Electro Swing coming to every major festival in the EU this summer, we know it will only take a moment for folks on this side of the sea to find out why we are all working up a sweat about the sound. We had started by doing the first monthly electro swing event in North America, which is still running, and starting to spread it further. We now have branches in COmox Valley (BC), Montreal (QC), Nanaimo (BC), Oslo (NO), Portland (OR), Vancouver(CA) Seattle (WA), Mexico City (MEX), Atlanta (GA), Adelaide (AU), Kuala Lumpur (MA), and more coming soon. The heart of the organization is the 3 guys who started it off - Eli (DJ Eliazar), Tibo (Don Mescal), and our man behind the decks, the projector, and all our artwork - Khalil (VJ BXL and DJ Khalil). We have managed to bring this sound from a loft party prohibition style in the Plateau with a bathtub full of beer, to a sold out monthly at Sala Rossa that is full by 11pm every month, to playing for a crowd of 5,000 at Piknik Electronik in the summer of 2012. Our sites are set further as we are all globetrotters from different nations - Chicago Grenoble, & Brussles - and know there is a world out there that may enjoy our sound, vibe, and boogie potential. Now Eliazar is living on the West coast and still returning often for events in Montreal while growing the swing scene on the West coast. 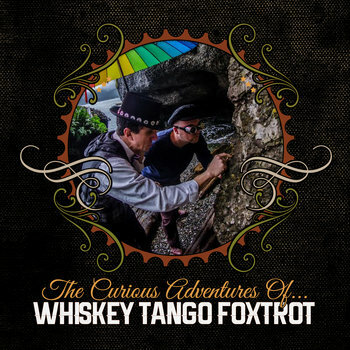 Whiskey Tango Foxtrot emerged from the island wilds of BC after being shipwrecked on the small island of Denmanistan for many a moon. Their sound is a flurry of vintage remixed music built on laptops and old analog keyboards pilfered from the abandoned buildings they have scavenged. 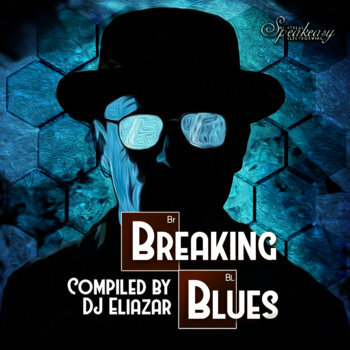 Eliazar (Speakeasy Electro Swing/Balkan Beats Montreal) and Atom Percy (Acid Test, Bif Naked, Econoline Crush) have joined forces in their little island abodes to keep digging the old to build the new as they repurpose forgotten gems with new beats and bass lines while keeping the silly side of music alive. Known to take nothing too seriously, their toons will get you steppin up for a boogie down with a smile on your face.